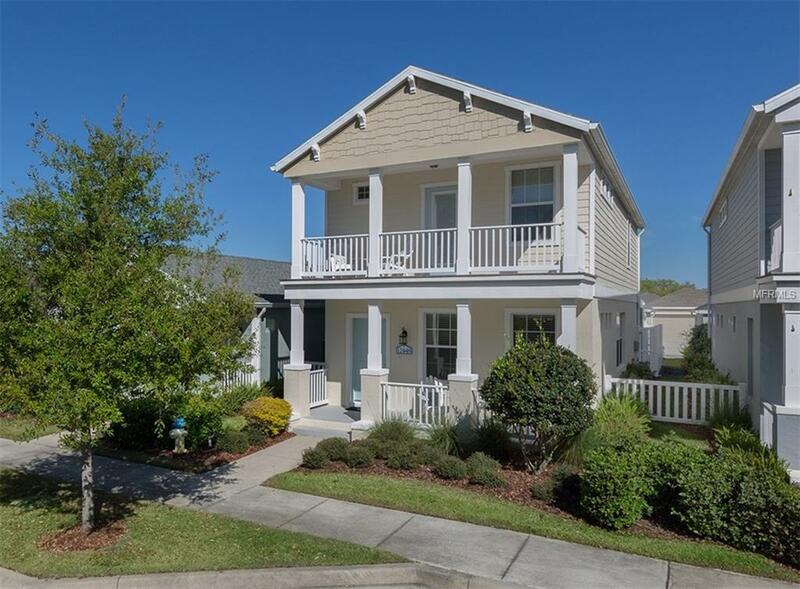 Why wait to build when you can move right into this maintenance-free adorable Key West-style home with upgrades galore? We must not forget the amenity rich community in which it resides. Spend your time doing the more important things in life that this community has to offer. This home has a wonderful view of the nature preserve which includes a lake and walking path. You won't want to miss it! As you enter the home, you feel as if you are in a model home with crown molding around the windows, wood plank accent walls, stainless steel appliances, stone countertops and a nice finished reading nook under the stairs. This home is pre-wired with CAT 6 Ethernet at each TV outlet and a paver lanai out back leads to the two-car garage. The 40k+ pergola addition of this enclosed paver patio is truly the definition of bringing the outside in. You have electric if you would like to watch TV, cook or just relax under the fans. The great part about this extra living/flex space is that the accordion above adjusts to the weather. Rain or shine you can enjoy the outdoors. The screen walls roll up and down on this beautiful pergola making it totally enclosed. It truly is something to see and you don't want to miss it. This home is immaculate and is located minutes from the clubhouse with resort-style amenities including two pools, splash park, tennis courts, basketball courts, volleyball courts, playground, 39-acre lake with its own 8-acre island oasis, lookout point island and 28 miles of trails.